Homer Jackson is a talented interdisciplinary artist from Philadelphia with a background in teaching and social service. His work is presented as installation, performance art, public art, video and audio. He uses images, sounds, text, live performance, video, audience participation and found objects to tell stories. As a young art student, jazz nurtured Jackson’s creativity and provided an outlet for self-expression. In 1980, Temple University’s jazz radio station WRTI recruited Jackson to host a weekly radio program and produce a monthly magazine. Jackson enriched WRTI’s programming through artist interviews, record reviews and profiles on key musicians and musical movements until 1988. With over 20 years experience as a teaching artist working in community settings, Mr. Jackson has served as project director for a number of arts & humanities projects and has conducted workshops in senior centers, prisons, schools and community organizations. In 1996, he received special recognition for his work with Youth-at-Risk from the President's Committee on Arts & Humanities. Jackson has worked with young people, adults and older adults, as well as intergenerational participants. Through his workshops, participants have produced art exhibitions, albums, books, comic books and videotapes. Mr. Jackson is a BFA graduate of the Philadelphia College of Art and he holds a MFA from Temple University's Tyler School of Art. He has performed, or exhibited works at the Philagraphika, Philadelphia Art Alliance, Nexus Gallery, Moore College of Art, Yellow Springs Institute, the Painted Bride Arts Center, Taller Puertorriqueno and the Institute of Contemporary Art in Philadelphia; at Hallwalls Arts Center in Buffalo, Intermedia Arts in Minneapolis, Smithsonian Institute Traveling Exhibition, Art Center/South Florida in Miami Beach, Maryland Art Place in Baltimore, the Kitchen, Art In General and Aaron Davis Hall in New York City, Delaware Center for the Contemporary Arts in Wilmington and ArtBlackLive in Northhampton,UK. He has created performances in collaboration with artists such as the late AACM violinist, Leroy Jenkins, Twin Cities-based instrument maker and former AACM president, Douglas Ewart, the late, Washington DC/Philadelphia poet, Essex Hemphill, Baltimore-based multi-media artist, performer and MacArthur Foundation, "Genuis" Award recipient, Joyce J. Scott, as well as the award winning, Philadelphia-based hip-hop ensemble, The Roots. Mr. Jackson has received support for his work from the Wyncote Foundation, Rockefeller Foundation, Pew Fellowships in the Arts, Civitella Rainieri Foundation, Pew Charitable Trusts, Pennsylvania Radio Theatre, Pennsylvania Council on the Arts, National Endowment for the Arts, The Playwrights Center, Pennsylvania Humanities Council, The Funding Exchange, Art Matters, and Franklin Furnace Fund For Performance Art. 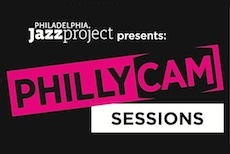 Homer Jackson lives and works in Philadelphia and currently serves as the director of the Philadelphia Jazz Project. Melissa Talley Palmer has over fifteen years experience as an Administrative Assistant and Education Program Manager in non-profit Community Arts and Education. Her prior work experience covers fifteen years of service with Internal Revenue Service as a Secretary, Tax Examiner and Clerical Unit Manager. In her leisure she plans events and instructs Bop & Cha Cha classes. After working ten years with The Village of Arts and Humanities, Melissa received a certificate in Arts Administration from Pennsylvania Council on the Arts in 2005 and fulfilled her internship with Point Breeze Performing Arts Center and Brandywine Art Center. After which, Melissa wrote, produced and performed a stage play entitled “Let Not Your History Be A Mystery, Breaking the Silence of Molestation” in 2007 with funding from the Leeway Foundation. She was later employed with Art Sanctuary as Education Program Manager and Administrative Assistant prior to her work with the Philadelphia Jazz Project. Her hobbies include praise dance, Bop, Cha Cha and Strand. She enjoys spending time with family and friends, planning events, community organizing and instructing dance classes. Julia López is a multi-disciplinary artist and educator who believes in the power of the arts and arts education to effect Social Change and Justice. With over 30 years of experience working with communities, Julia is dedicated to collaboration, engaging families and youth in creating arts-based experiences, programs and curriculum. To this end, she has worked with and consulted for a cross section of organizations and educational institutions. Julia has served on numerous review panels championing diversity and accountability in the grant making process. Most notable is her work with the Leeway Foundation where she was instrumental in the development of new granting programs and served as board president for four years. Julia’s work is informed and propelled by Art Making. She has performed and exhibited her original works in diverse spaces throughout the United States, Mexico, Central America and Spain. She is a founding member of Las Gallas Artist Collective-recipient of the 2011 Hispanic Choice Awards-Vision Award. Julia is a 2009 NELI Fellow (Nonprofit Executive Leadership Institute) at the Bryn Mawr College Graduate School of Social Work and Research, has a BA in Theater Arts from Wesleyan University in CT, attended the Eugene O'Neill National Theater Institute in Waterford, CT, and the Instituto Internacional in Madrid, Spain. 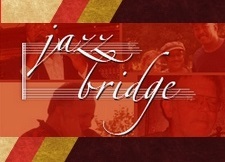 Julia presently manages special programs and productions for the Philadelphia Jazz Project.